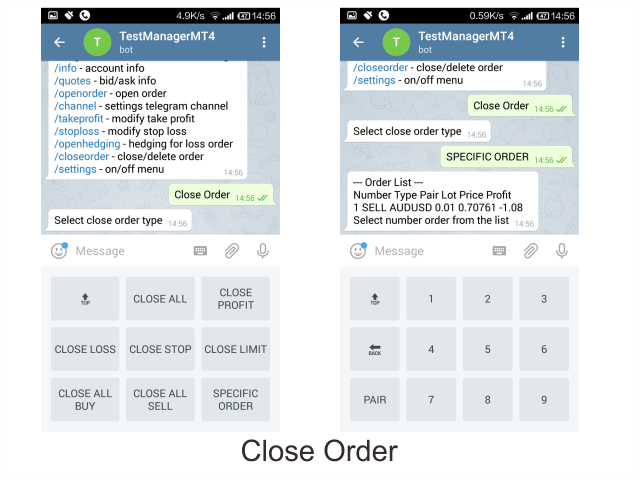 Telegram MT4 Order Channel Manager is a tool to manage order and send text message to channel through Telegram chat app. This EA can only work for One Telegram Bot in One MT4 Account. 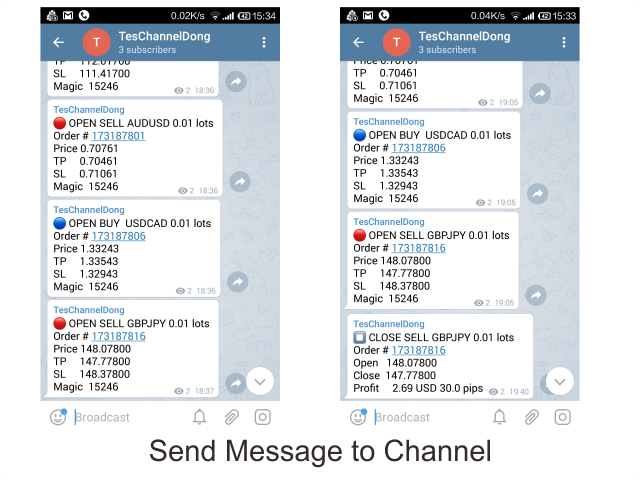 If you want to attach to another account, you should make new Telegram Bot and use new token for that account. It does not work in backtest. Watch the video to see how it works. 1. 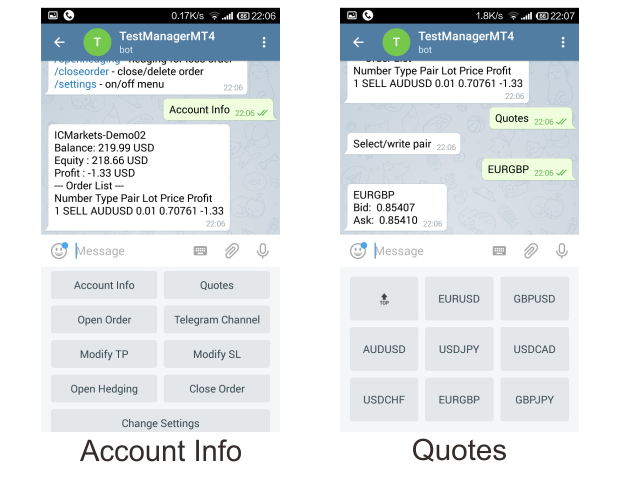 Account Info	- Gives information about Balance, Equity, Profit, Order List. 2. Quotes	- Gives information about bid/ask for selected pair. 3. Open Order	- Open market or pending order. 4. 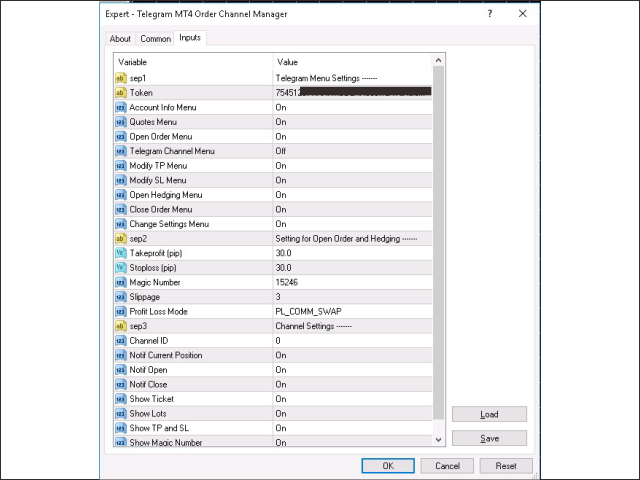 Telegram Channel	- Change settings for sending message to channel. 5. 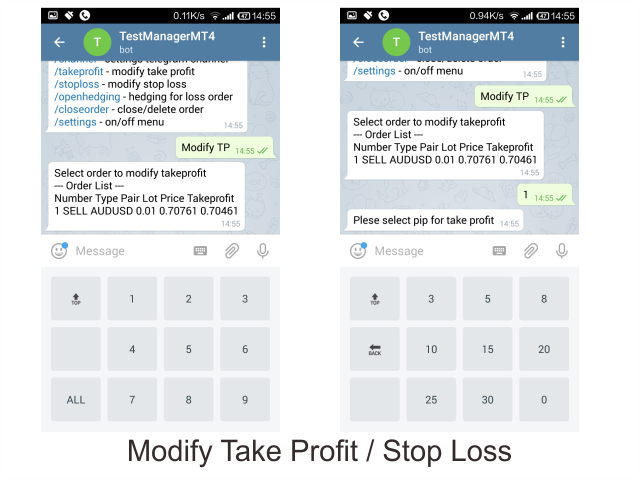 Modify TP	- Modify/delete take profit to selected order or all order. 6. Modify SL	- Modify/delete stop loss to selected order or all order. 7. 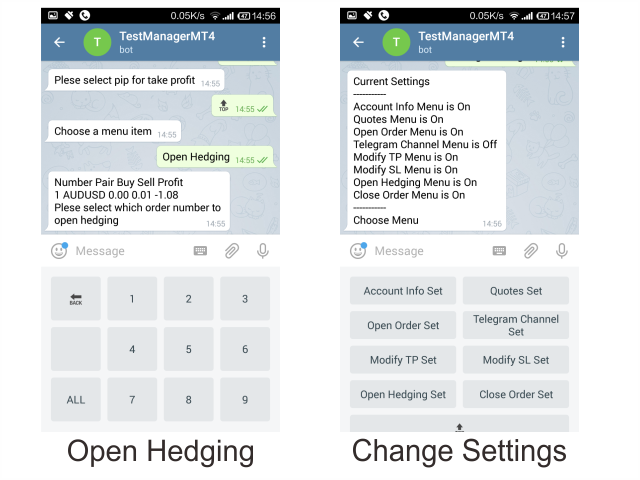 Open Hedging	- Give list of pair that have unbalance lots volume and in a loss, then we can choose to open hedging or not. 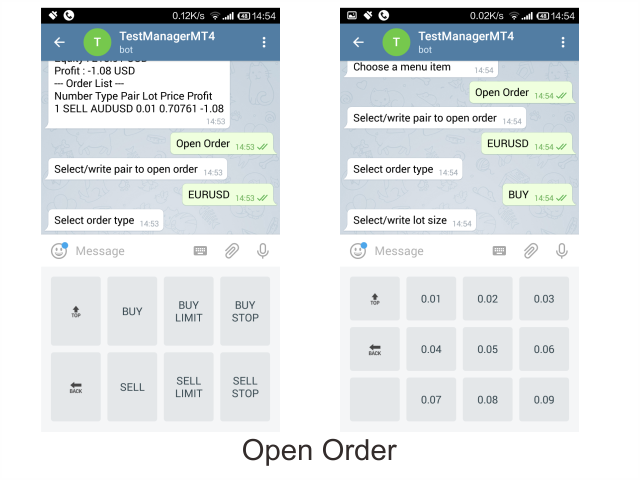 We can choose to open hedging for selected pair or all pair at once. 9. Change Settings	- Options to On/Off all the menu above.